The two mortgage giants are again reporting record profits this quarter. Fannie Mae (FNMA), the larger of the two, reported an $8.1 billion pretax profit, the largest quarterly pretax income in the company's history. 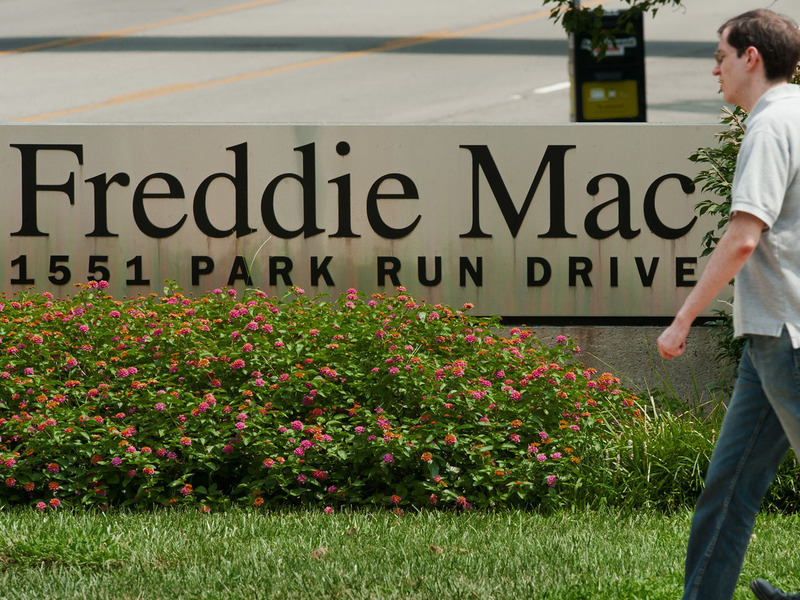 Meanwhile, Freddie Mac (FMCC) took in $4.6 billion, the second largest in its history. And all that money, along with a $50.6 billion Fannie Mae tax credit from years ago, will be paid to the federal government. That's about $63 billion filling Uncle Sam's coffers so far -- and we're only halfway through the year. But they still owe us. The question is how much. There are really two answers. The short answer is about $65 billion -- Fannie Mae has paid $95 billion of its $117 billion debt, and Freddie Mac has paid $30 billion of its $72 billion debt. The long answer is that they owe us, and will continue to owe us, all of their profits. That's because through the convoluted agreement struck with the government, the pair agreed that, in exchange for injections of taxpayer money to keep them afloat, they would offer the government premium shares of their companies, paying out 10 percent of their profits in dividends to the Treasury annually. In late 2012 the agreement was amended so that Fannie and Freddie must turn over all profits, regardless of how much or how little, they bring in. But there's a catch: The profits Fannie and Freddie turn over to the government don't knock out any of their debt. "What's happening now is a miraculous recovery in the earnings of Fannie and Freddie," says Tim Rood, a former Fannie Mae executive currently with The Collingwood Group, a firm that advises businesses on government-related issues. "While they're paying back the Treasury, there's no provision in the agreement to pay down those debts at all." In other words, once Fannie has paid $117 billion, and at this rate it could happen within a few years, the company will continue to hand over most of its profit to the Treasury. "As it stands, they're indentured servants," Rood says. "If we ride this out for at least 10 years without changing any of the agreements, whatever they make is all earnings for the U.S."
So, in fact, the U.S. government stands to potentially make a profit on its massive bailout of the two mortgage giants after they unilaterally failed in the fall of 2008. This raises a bunch of new questions about the future of Fannie and Freddie. There's been a lot of talk in Washington about shifting the role the two companies have in the mortgage market and bringing private companies back to the secondary-mortgage-market plate. Now that Fannie and Freddie are operating as government cash cows, with all their profits going into a general fund that the Treasury may spend as it pleases, it might be harder for the government to give them up.